Japan is my favourite Asian holiday destination. Yes, I love Shanghai and the exciting shopping there. Bali is undoubtedly magical. But for me, nothing compares to Japan. Of course the food is a big draw, the scenery spectacular and the politeness of the people unmatched but there is something else, something deeper, that draws me, as a designer to this remarkable country. The Japanese have a reverence for aesthetics, an appreciation of beauty that is unparalleled. Their attention to detail, quality and presentation is renowned the world over. I know this, yet when I see crowds gathering to enjoy the cherry blossoms or autumnal colours, I am still amazed that in this fast-paced, digital world, the simple pleasure of enjoying nature’s beauty can give so much joy to so many. Yes, I love a touch of glamour as much as the next gal but sometimes, tranquility is what is required and when in search of tranquility, I often find myself turning to Japan for inspiration. Japanese style revolves around clean and uncluttered living, holding tightly to balance, order, ancient customs and a love for natural beauty. Lines are simple, vistas unobstructed, light abundant and the overall feel calm. 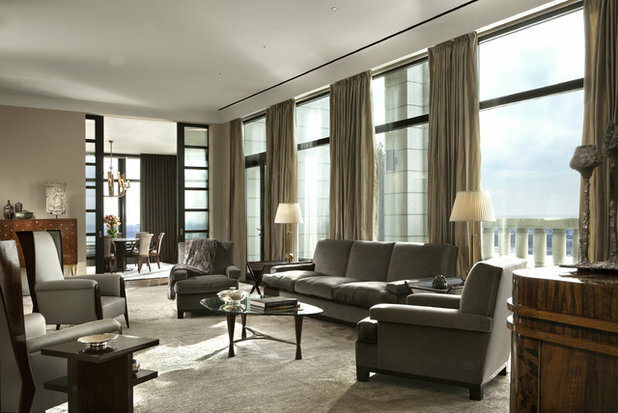 Luxury is pervasive yet understated, not flashy but graceful. It is a luxury based on quality rather than embellishment. “Shibui” is the ultimate goal in all Japanese art forms – the attainment of supreme beauty with the minimum amount of material – as in the fewest words in haiku, the fewest flowers in ikebana. It is the exercise of restraint to achieve a subdued elegance that invokes a serenity. If there’s one word that sums up Japanese style, it’s Zen – a Japanese sect focused on meditation. 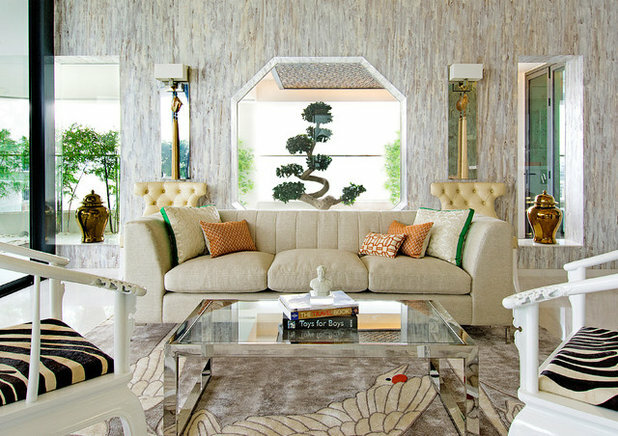 Interiors that reflect this influence invoke contemplation, balance, peace. 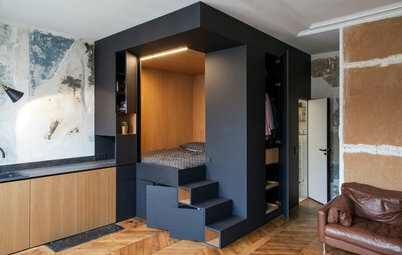 Great value is placed on the absence of non-essential internal walls to open up a space and allow an organic flow between the structure’s interior and exterior. 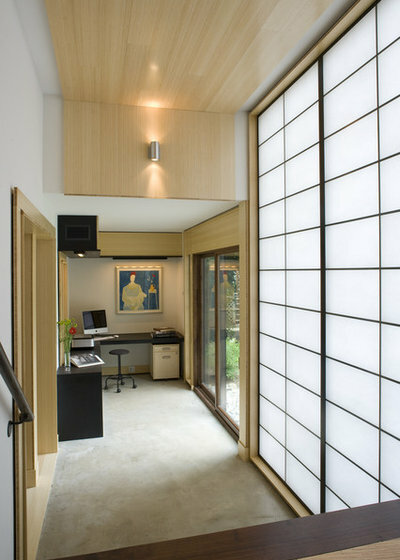 Translucent screens are an essential feature in Japanese interior architecture. 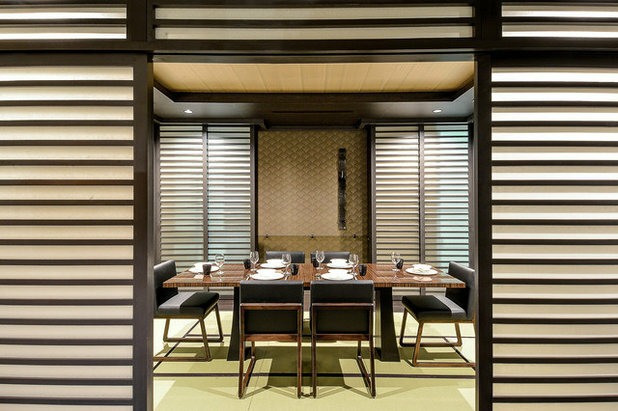 An authentic Japanese screen is called a shoji. 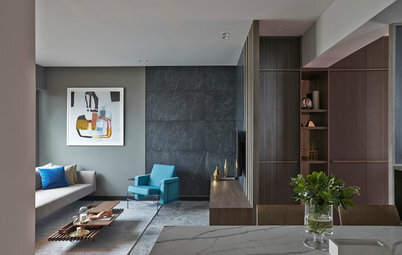 A key element of these screens is that, unlike doors, they do not block the natural light and views of nature. 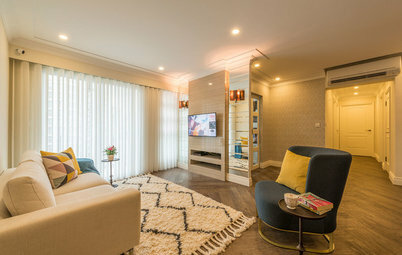 Replacing a large expanse of wall with a glass-panelled sliding door can be a great way to incorporate this style into your home. An authentic Japanese screen is usually made of fine translucent paper held inside a wooden frame. However, modern versions of these screens can be found online and are usually made of glass panels inside a wooden grid. 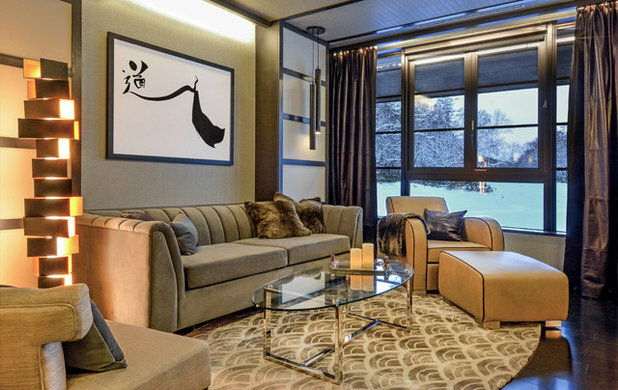 The Japanese have a deep love and respect for nature and incorporating nature into the interior design is another key element of Japanese Style. 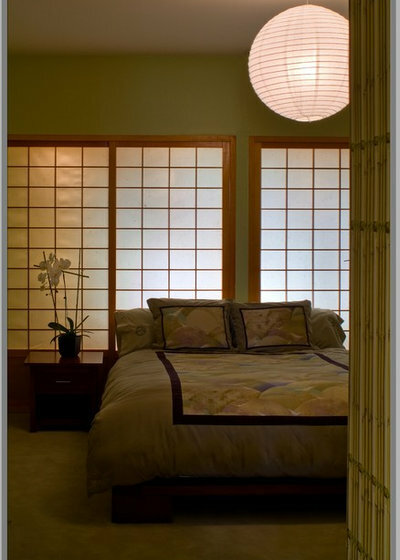 Adding traditional Japanese plants, such as bonsai and bamboo, into your home will bring a touch of Japanese culture. The Japanese aesthetic and colour, however, are not mutually exclusive. 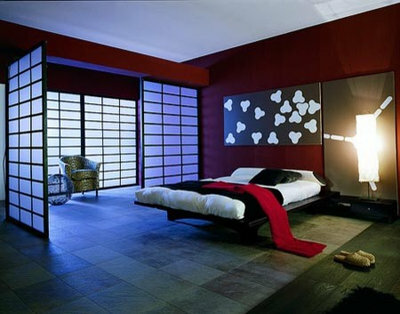 Even with a strong crimson hue, this room resonates with a strong Zen vibe. 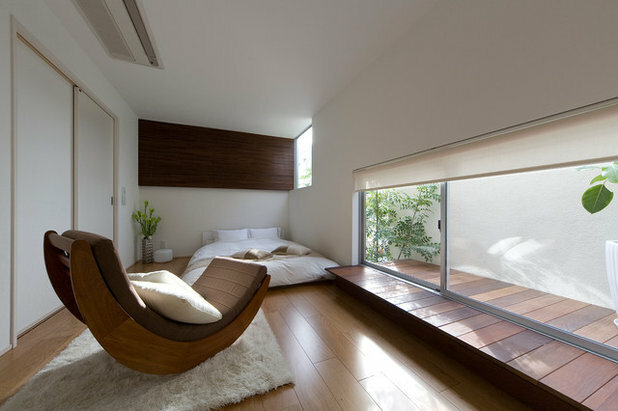 The Zen undertone to this room is undeniable. 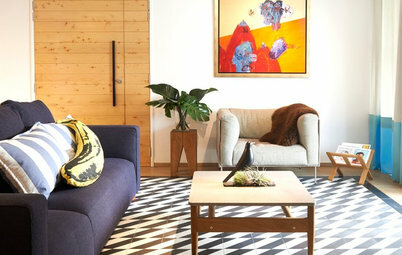 The defined, symmetrical lines are reminiscent of traditional Japanese post and beam construction techniques and even the oxymoronic addition of Western furniture cannot neutralise the sense of Japan in this room. 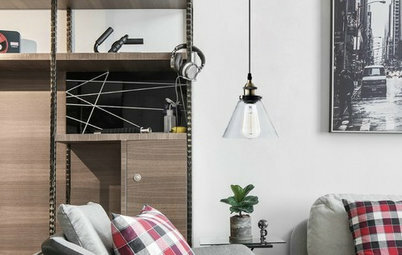 Even if the bones of your space aren’t strictly Japanese, you can approximate the look by paring down, removing clutter and adding subtle Japanese-inspired interior architectural elements. 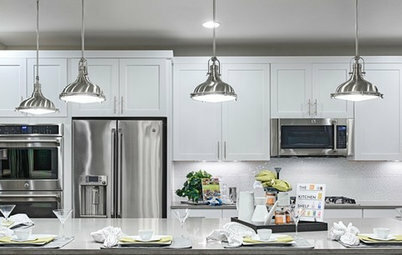 Ensure an airy, open sensibility. 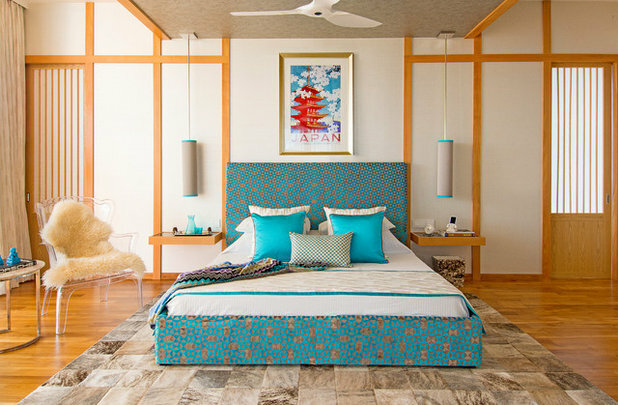 Adopt a neutral and natural colour scheme and add mouldings reminiscent of shoji screens or typical post and beam construction, to infuse some Zen serenity and Japanese culture into your home. 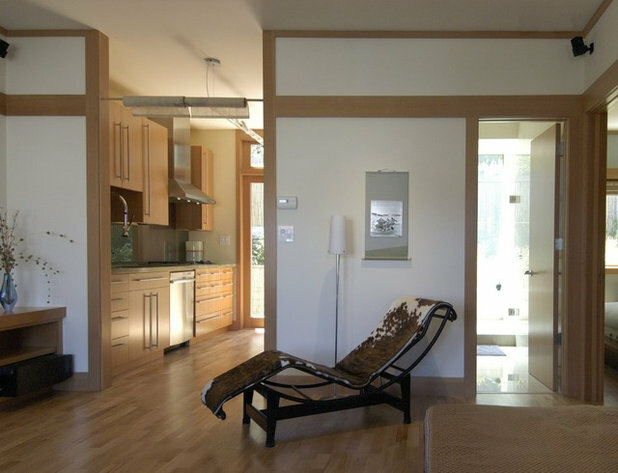 What elements of Japanese design do you admire or have incorporated into your home? Share with us in the Comments below. if they have little one running around .. I like how Nikki mentioned that "Luxury is pervasive yet understated, not flashy but graceful." 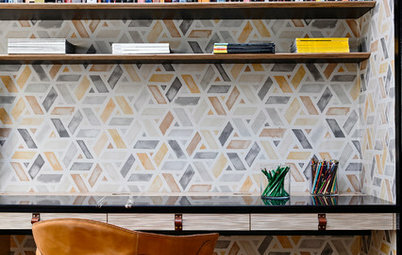 A great example is the use of natural-finished wood. 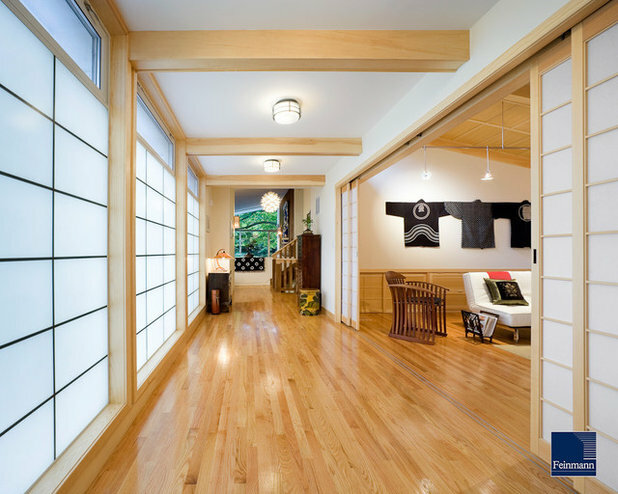 It might not seem like much to the passing eye, but often in Japanese or Japanese-inspired homes, the choice of wood for furnishings and floorings can be the most exquisite, and bring the most satisfaction to the user and homeowner.